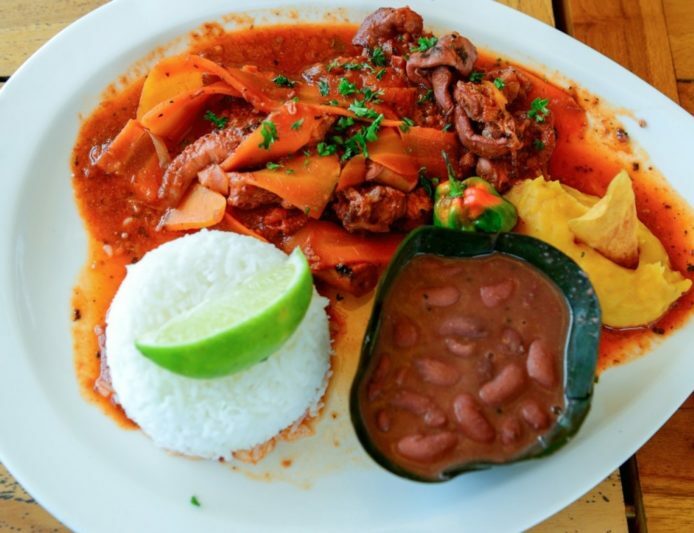 If a parade of women followed by a five-hour all-you-can-eat banquet sounds like your idea of a good time, Guadeloupe’s annual Fête des Cuisinières, or Festival of Women Cooks, might be the party for you. Every August for almost a century, Guadeloupe has devoted a day to celebrating its prized female chefs. The festival begins with the chefs marching through the streets in their traditional chef clothing – a colorful array of headscarves and aprons far from the prim white outfits at your neighborhood restaurant. Their clothing is embroidered with emblems of St. Lawrence, the patron saint of cooks (who, according to legend, was actually burned alive on a grill – so he’s probably not trying to be the patron saint of barbecues…). The parade ends at the Basilica of St. Peter and St. Paul, where the clergy blesses baskets of food, flowers and cooking utensils. After the ceremony, the food comes out and the long night of dancing begins. The 600+ people who attend the feast chow down on creole food (especially fish dishes) until they physically can’t get up to dance again. Sounds like us after a plate or two of Volcano Nachos. If there’s any great cause for going overboard on creole food, it’s celebrating this nation’s national treasure: their cooks.